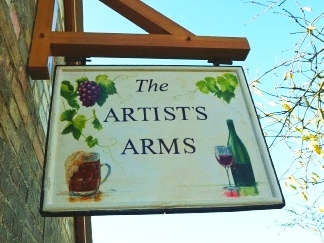 Come and visit my beautiful Studio - THE ARTIST’S ARMS - where you can see a collection of my paintings in relaxed and comfortable surroundings. There are many Paintings and Prints FOR SALE, and we can discuss any commission ideas you may have. I am also holding courses which will teach you the basic principles and techniques of drawing and painting. CONTACT me for more information, and to discuss your ideas and aspirations. Beginners are very welcome. I studied at St. Martin's School of Art. and have many years experience of painting in various styles and mediums, especially Oil. I now live on the Cambs/Herts border but cover a large geographic area as required. The proximity of Newmarket and the many studs is especially convenient. I also paint fantasy and imaginative scenes and landscapes, examples of which can be seen on this website. Please browse through the images, and click on ones of interest to get a larger image. I have also included a pricing guide - oil paintings start at about £185 only.